I heard the Lord say, “You are a Window in Time!” Moving to Arubbah! “…if I will not open the windows of heaven for you and pour you out a blessing…,” (Malachai 3:10 AMPC). My first thought was, “Yes, Lord…but those are windows IN HEAVEN.” Wondering if the word HEAVEN in Hebrew was the same as the word TIME in Hebrew, I started to research it to see. What I found was amazing! We are God’s Windows! HEAVEN and TIME are not the same words in Hebrew. In fact, they’re not even related! But they ARE great bait – bait that God used to get me on the hook. It was not those two words that the Lord wanted you and me to see! It was the word WINDOWS! We are God’s WINDOWS! Moving to Arubbah! Strong’s 699 is arubbah, meaning lattice, window or sluice; chimney and also floodgates. Further, Strong’s says it also used as a word for lurking; a dove-cot (because of the pigeon-holes), chimney (with its apertures for smoke); or a sluice with openings for water. I had never heard of a “dove-cot”, and I was only vaguely familiar with a “sluice” so I had to look them up. But chimneys – those I know! Many years ago I was a brick mason helper, helping to construct fireplaces. Fireplace construction requires a “shelf”. This creates suction or draft to direct the smoke up and out of the chimney. The chimney, which is the glass around an oil lamp wick, does the same thing. A fireplace shelf actually CONTROLS the smoke by guiding and directing, in fact PULLING, the smoke from the fire up the chimney, while the chimney itself allows the smoke to flow through it. 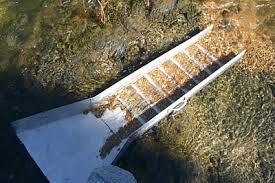 A sluice is used for gold-mining! While researching this word, I viewed images of half-pipes flowing with water, gravel and gold ore, travelling down the side of a mountain. The SLUICE actually guides and directs the ore and gravel while the gate controls the water, which is what drives the whole process. The stream of water issuing through a flood-gate; or the gate itself. An opening; a source of supply; that through which anything flows. AH! Pardon the pun, but now we have hit a vein! A window, a sluice, a chimney and even a lattice allows things to pass through it! He is our source, and we are His source – His portals, His conduits, His WINDOWS – into the earth realm! I believe what God is saying to US, His people in the earth right now, is WE ARE HIS WINDOWS in TIME – right now, this moment in history, at THIS TIME! 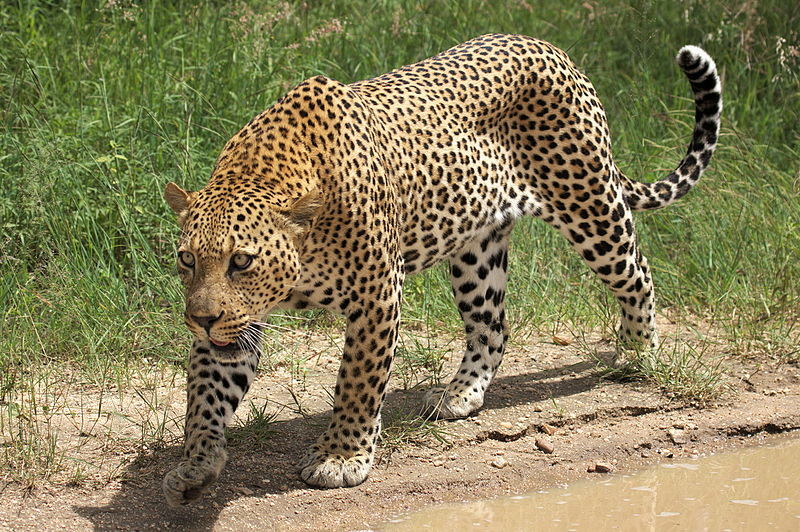 He longs, in fact He LURKS (yet another definition of arubbah), hanging out and waiting for us to open up our floodgates so that He can pass through! He LONGS to pass through us! He LONGS to pass His goodness and mercy through us! He LONGS to pass His abundance through us! He longs to flow through us! What we bind is bound! What we loose is loosed! If we bind up forgiveness, it is bound up – forever! It cannot get past us because we are the lock and key, the water-gate! If we loose it, forgiveness flows like a river. We are the sluice that guides and directs it, moving it to and fro across the earth! “I will give you the keys (authority) of the kingdom of heaven; and whatever you bind [forbid, declare to be improper and unlawful] on earth will have [already] been bound in heaven, and whatever you loose [permit, declare lawful] on earth will have [already] been loosed in heaven,” (Matthew 16:19 AMPC). In fact, just like a floodgate, we control His abundance, too! Luke 6:38 says that whatever amount you sow, that you will reap! If you sow liberally you will also reap liberally. “Give, and [gifts] will be given to you; good measure, pressed down, shaken together, and running over, will they pour into [the pouch formed by] the bosom [of your robe and used as a bag]. For with the measure you deal out [with the measure you use when you confer benefits on others], it will be measured back to you,” (Luke 6:38 AMPC). So, if you crank open up the floodgate and sow more, you will reap more, so you can sow more, so you can reap more again! If you bind it up, it’s BOUND! You must LOOSE the flow of abundance into the earth realm! This requires you to exercise your faith in the word of God, making it living and active in your life (see Hebrews 4:12)! Lay all your property at the feet of JESUS! What you give into the hand of God goes into the work of God. Ask Him to show you good soil and sow, sow, sow! Loose Kingdom finances into your life and into the earth realm in this way! Crank open the floodgates of abundance and prosperity, then pour it back into the Kingdom! No Pigeon-Holing! Another definition of arubbah is “dove-cot”, a term with which I was completely unfamiliar. It is a place for dove or pigeons to “hole-up”, house or breed. That sounds like a chicken coop to me! In my experience, once a chicken “coops up” for the night, it goes catatonic. A chicken will literally go into a trance and won’t move again until the next morning. Although this IS one of the nuances of arubbah, unlike a window and lattice-work, there is no free-flowing movement with this definition. This is a tactic of the devil. Don’t do this! Don’t hole-up and go into a coma! Don’t go into the corner to lick your wounds and not come out again! Don’t go home to eat worms! Don’t do this! God wants to use you to do His Kingdom building in the earth realm. YOU ARE HIS WINDOW IN THIS TIME into the earth realm. He is bringing heaven to earth through YOU! Open up the Floodgates of Heaven! Allow God to use you as His Window! Allow God to give stuff TO you to pass THROUGH you back into the Kingdom! Allow His salvation, goodness and mercy to operate through you, bringing life into dead situations and light into the darkness. 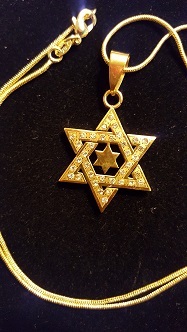 Author Edie BayerPosted on October 27, 2018 Categories Evangelism, Favor, Intimacy, Obedience, ProphecyLeave a comment on I heard the Lord say, “You are a Window in Time!” Moving to Arubbah! Pollinators: Ready the Fields for Harvest! Driving through Indiana recently I pulled into a highway rest stop. Inside was a display case with what looked like a giant yellow hornet in it! Intrigued, and wondering what the giant yellow hornet was all about, I saw that this display was about pollinators. Pollinators are insects and animals that help to spread nectar among plants, enabling them to produce fruit. After I left the rest area, I passed by field after field after field of crops, one after the other. I asked the Lord what He would like to say to me about these fields. He began by saying that the fields are growing, getting ready for harvest. They are doing what they are supposed to do, what they are designed to do: lay in the field and grow! He also said some will produce fruit, and some will not. The difference? Some will have pollinators! I immediately saw the parallel the Lord was drawing! We are the pollinators. We are Christians pollinating the fields, readying them for Harvest! Pollinators are necessary to spread the nectar from one plant to another in order for them to produce and be fruitful. In the same way, we are spreading the good news from one person to another, readying them to do the same! “37 Then He said to His disciples, The harvest is indeed plentiful, but the laborers are few. The display at the rest stop talked about the many different types of pollinators: beetles, caterpillars that turn into butterflies, bees, flies, birds, and bats. I never realized there were so many different types of pollinators! This speaks to the many different types of ministers! Some are shiny and have hard exteriors, like beetles. Some are beautiful, showy and flit from person to person and place to place, floating on the breeze like butterflies. Some are quiet and use “radar”, like bats. There are so many different kinds of ministers that that Lord uses to pollinate His people! But we still need more. We need more pollinators to increase the harvest! The display showed ways we can help the pollinators to flourish, because then the crops – and the harvest – will flourish. Different crops require different kinds of pollinators. Different pollinators require different kinds of habitat in which to dwell, to abide and raise their young. Some require hollow logs; some require tall grass; some require sandy soil in which to birth their young. As the Lord talked to me, I saw that each of these habitats speaks of a different type of ministry. Some are underground. These ministers are incognito, blending in as secret agents! Some are in tall grasses, hidden in plain sight among the weeds and the wheat. Some are in hollow logs, birthing converts out of “dead wood”. These are those whom God wants to resurrect! The fields are ripe for harvest, but in order to have a harvest, we must first have pollinators. 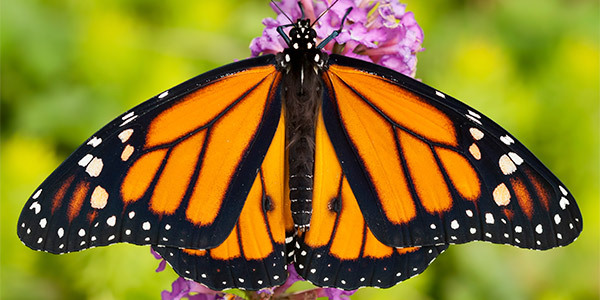 Count on God, Who has revealed the various types of pollinators for the various types of crops to provide them. Donate HERE to Kingdom Promoters Ministry! Love and Blessings! June 14th, Diving into the Prophetic! Learn HOW to Write, Publish and Sell Your Book! various events and venues – stay posted! Author Edie BayerPosted on June 13, 2018 Categories Evangelism, Favor, ProphecyLeave a comment on Pollinators: Ready the Fields for Harvest! FREE E-Book! Power Thieves – 7 Spirits That Steal Your POWER and How to Get it Back! Get Edie’s Best Selling Book – FREE! FREE E-BOOK by Edie Bayer! GET YOUR FREE E-BOOK by Edie Bayer! 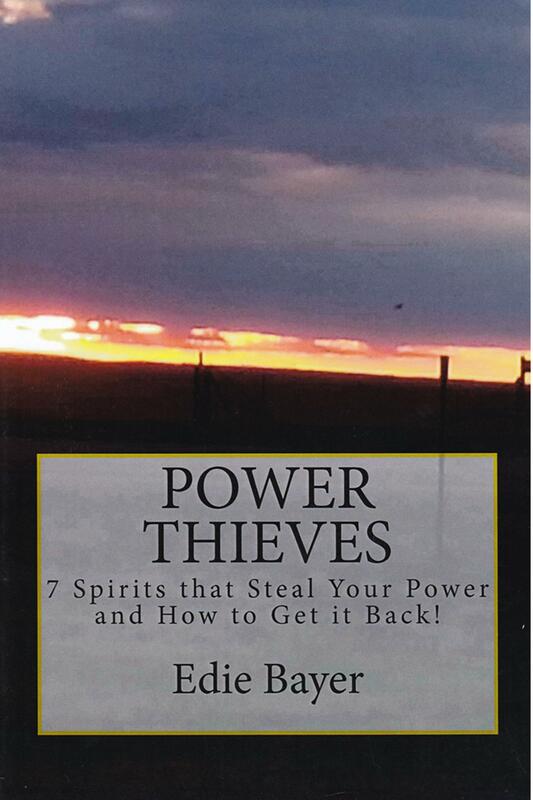 “POWER THIEVES – 7 Spirits That Steal YOUR Power and How to Get it Back!” Sign Up Today for Edie’s Mailing List, Get this Book FREE and Get ALL of Edie Bayer’s Prophetic Words FIRST Before they go public! Stay up to date on all of Edie Bayer’s Events! Enjoy unpublished Words and EXTRAS that are only available to subscribers! Sign Up Today! Author Edie BayerPosted on March 31, 2018 Categories Evangelism, Favor, Free, Inventions Process, Mailing List, Obedience, ProphecyLeave a comment on FREE E-Book! Power Thieves – 7 Spirits That Steal Your POWER and How to Get it Back! We all know this is a new season, a new place that we have walked into. Some of us are having some difficulties navigating this new terrain because it is so alien! It is because He is re-training us. Although this is not all-inclusive, I believe this list of “BE” Attitudes for this new season will BE-helpful! “At that time the disciples came up and asked Jesus, Who then is [really] the greatest in the kingdom of heaven? 3 And said, Truly I say to you, unless you repent (change, turn about) and become like little children [trusting, lowly, loving, forgiving], you can never enter the kingdom of heaven [at all]. 4 Whoever will humble himself therefore and become like this little child [trusting, lowly, loving, forgiving] is greatest in the kingdom of heaven,” (Matthew 18:1-4 AMPC). God has been speaking to me about this very thing – to BE-Hold Him like a Child! Do you remember when you were a little kid waking up on Saturday morning? Do you remember how full of anticipation you were? How exciting it was? The world was so full of promise! You could do ANYTHING! God wants us to BE like that little child again! BE Wonder-Full: He wants us to be FULL OF WONDER! Our cynicism must go! All the callousness, the pride, our “know it all” attitudes…indeed, the bitterness and rage must go, too. We must be full of wonder and open our eyes wide to the things of God. I believe that He is going to show us amazing things of which we have no knowledge in this season! He is taking us to school just like a little kid, retraining us to show us brand new things – about Him, about the body and about ourselves! “Call to Me and I will answer you and show you great and mighty things, fenced in and hidden, which you do not know (do not distinguish and recognize, have knowledge of and understand),” (Jeremiah 33:3 AMPC). Be like a little child, according to Matthew 18:3 (AMPC). We must “… become like little children [trusting, lowly, loving, forgiving]…” Jesus said that if we cannot humble ourselves and do this, we cannot enter the Kingdom of Heaven – AT ALL! I don’t know about you, but I want IN, right here, right now! I want to walk in the Kingdom of Heaven, today, right here in the earth realm. For some of us, this will be difficult, because we have become accustomed to reacting to life through our pain, our doctrine, or our belief systems about Daddy God. We simply have to admit that we ARE children; that we do NOT know it all; and open our eyes to the truth that He has so much more for us than what we have experienced so far! Be expectant – Expect nothing but the best in this season! God has amazing things planned for you. He has been waiting your entire life, longing to bless you in the way that He is blessing you in this season! Expect it and let Him! Open your heart and don’t be afraid, because He is opening His hand to you. Be excited – This is the time of your life! These are the days that you will look back on in future years and just sigh with satisfaction and contentment, and giggle with joy! This is your ‘launch time’! This is a time to be excited about. You were born for such a time as this! You have been groomed for this moment in history! Get up off the couch! Get ready to run! It’s GO-TIME! Believe! Out of all of the BE-Attitudes that He has called us to in this season, for some, this may be the most difficult. If you have been in a rough season, seeing dream after dream crash-and-burn, and feel that God is no longer in the prayer-answering business, this will be THE TIME TO STAND UP AND BELIEVE! You must shake it off and BELIEVE God again! Believe that He loves you! Believe that He wants the best for you! Believe that you are the righteousness of God in Christ Jesus (see 2 Cor. 5:21)! Believe that He is doing the impossible, and He is doing it for YOU! Be willing – We must be willing to do whatever it takes to make it happen! We must be willing to listen for the voice of God and surrender completely to whatever it is that He says to do. We must be willing to submit to His will – crucify our flesh – and just do it. We must be willing to exchange the old for the new! We must be willing to sit at his feet, to travel the world, to walk the extra mile, or to do whatever it takes, because that is what He is calling us to in this season. Be open – We must be open to God-possibilities! God is so creative – He never has to repeat Himself! We must be open to literally ANYTHING! He is opening doors in the most unusual of places, connecting us with people that we never dreamed we would ever know. When you are open to anything, you will expect it, and be excited about it, too. Look for something unusual to occur, because that is GOD! Be REAL! It is God’s heart that we are REAL – with HIM, with OURSELVES and with EACH OTHER. God is sick of the fake. He wants “The REAL You” – the one He created. He doesn’t want a really bad copy of somebody else. He doesn’t want the fake exterior, either – He doesn’t like white-washed tombs (see Matthew 23:27). We need to become the REAL us that He dreamed of before the foundation of the earth was laid. 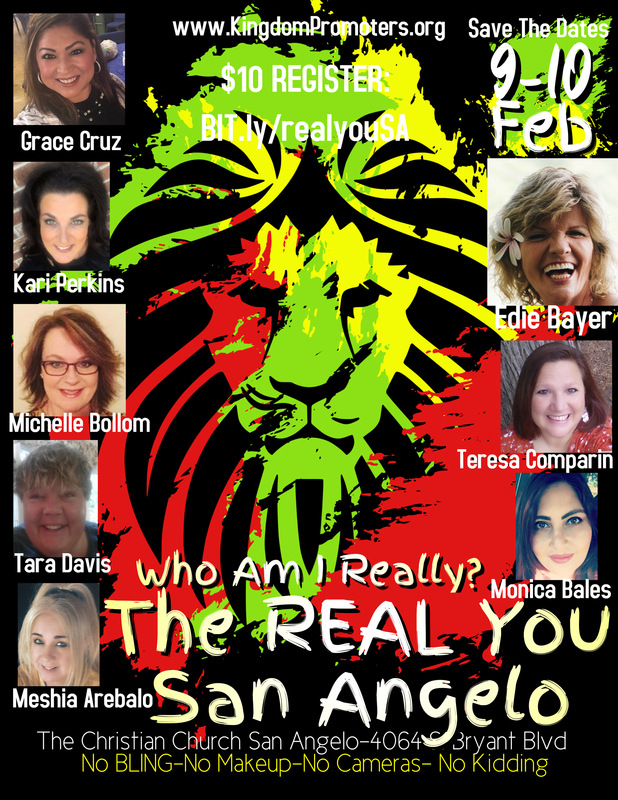 It is our authenticity that reveals Jesus, not the “made-up” version of us that we created! “And He called a little child to Himself and put him in the midst of them…” (Matthew 18:2). You ARE that little child in Matthew 18:2! He has called you! He chose you and put you in the midst of Himself! You are in His inner circle of friends, one of his hand-selected disciples! He calls you His beloved. In this season, you will BE that beloved child once again – full of wonder, expectant, and excited at all that your world once again has to offer. This is the time of your life! Live it to the fullest! Please come to my events so I can love on you!! Author Edie BayerPosted on March 30, 2018 Categories Evangelism, Favor, Intimacy, Prophecy, VisionsLeave a comment on New Season “BE” Attitudes! Author Edie BayerPosted on March 15, 2018 Categories Evangelism, Favor, Obedience, Prophecy, Uncategorized1 Comment on Only God can Connect you! In a vision recently, I saw a long white car roll up to the curb. From behind, I saw Jesus come around to the passenger side and open the door. He was wearing his robes and sandals. As He opened the door, I saw a pair of long legs in white high heels start to emerge from the vehicle, very slowly, one leg at a time, just like one would see on TV from an award ceremony. Then, with Jesus’ assistance, a woman got out of the car, and from behind I could see that she was dressed in a backless, shoulder-less, sky blue, mid-calf dress, with these white high heels and a beautiful, snowy white boa. 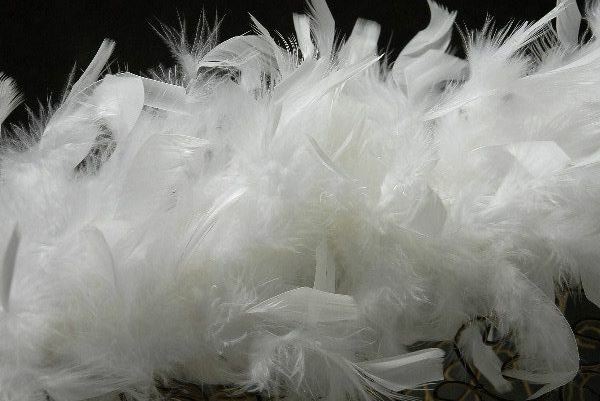 The boa was full, rich and luxuriant, and looked like fox or some kind of fur, but I somehow knew it was feathers. She had dark hair, pulled up to show off that gorgeous boa. As I continued to watch, Jesus, who was now dressed in a white suit with white shoes, turned to help her away from the car. I caught a glimpse of his face as He took this woman by the elbow and helped her push her way through the massive crowd that was gathered there, waiting. Immediately I thought of the scripture, “Length of days is in her right hand, and in her left hand are riches and honor,” (Prov. 3:16 AMPC). It is our Grand Debut! I knew then He was speaking to His church! It is our hour! It is our Grand Debut, our season as a whole and holy organism, to step out as His representatives and truly shine. He is guiding us through the ocean of humanity that has crowded and gathered together, awaiting the arrival of Wisdom! The whole earth is groaning (see Romans 8:22-23), and even the rocks are crying out for the King to be revealed (see Luke 19:40)! Wisdom has come and entered into our hearts for the GRAND DEBUT, The RED CARPET EVENT – The Grand Unveiling of the end-time harvest by God’s own hand-selected, hand-picked remnant army! “For skillful and godly Wisdom shall enter into your heart, and knowledge shall be pleasant to you. Discretion shall watch over you, understanding shall keep you, To deliver you from the way of evil and the evil men, from men who speak perverse things and are liars,” (Prov.2:10-12 AMPC). GOD HAS GOT YOUR BACK! Don’t be afraid! Every detail of their garments is symbolic. Her sky-blue dress, a symbol of Holy Spirt; Her heels and the boa both bright white for purity and holiness, as was Jesus’ suit. That boa, rich and full, was feathers, and I knew in an instant that it was His feathers, His pinions, under which we “…trust and find refuge…” (Psalm 91:4, AMPC). I never saw her face, only from behind, and her dress had no back, because ALL OF OUR WEAPONS of WARFARE, our armor (see Ephesians 6:11-17) is for pressing forward! Listen, family: there is no armor for our back side! We have no need for armor for our back, because we will not turn and run, we will not back down! God Himself is our rear guard (see Is. 52:12)! When Wisdom comes, He shields us and guards our paths! Don’t be afraid! God has got your back! Wisdom has arrived! “For the Lord gives skillful and godly Wisdom; from His mouth come knowledge and understanding. He hides away sound and godly Wisdom and stores it for the righteous (those who are upright and in right standing with Him); He is a shield to those who walk uprightly and in integrity, That He may guard the paths of justice; yes, He preserves the way of His saints,” (Prov. 2:6-8 AMPC). “I have counsel and sound knowledge, I have understanding, I have might and power. By me kings reign and rulers decree justice. By me princes rule, and nobles, even all the judges and governors of the earth. I love those who love me, and those who seek me early and diligently shall find me. Riches and honor are with me, enduring wealth and righteousness (uprightness in every area and relation, and right standing with God). My fruit is better than gold, yes, than refined gold, and my increase than choice silver. I [Wisdom] walk in the way of righteousness (moral and spiritual rectitude in every area and relation), in the midst of the paths of justice, That I may cause those who love me to inherit [true] riches and that I may fill their treasuries,” (Prov. 8:14-21 AMPC). It is a time and a season to move forward with Wisdom, to press in and to get the job done! Evangelists: Evangelize with Wisdom! Prophets: Prophesy with Wisdom! Teachers: Teach with Wisdom! Pastors: Pastor with Wisdom! Preachers: Preach with Wisdom! There is no more time to waste! Love Wisdom and she will love you back. She will give you of her fruit, more precious than rubies, so that you may share it with those that are waiting, desperate to hear from you – and from her. Wisdom has arrived! Wisdom will take you places that you never before knew how to go, and some that you never even knew existed! She will give you the resources that you need to allow you to rule and to reign righteously; to decree justice in the earth realm, and to bring reconciliation to the throngs and the masses of humanity that are waiting at the curb for us to step up to the plate! Wisdom has come. It is time, family of God, to do what we have been designed to do. It is our Grand Debut, our Red Carpet Event. It is the unveiling of the righteous church of our Holy God, full of Wisdom, Understanding, Counsel, Strength, Knowledge, and of the Fear of the Lord. The Spirit of knowledge and of the [reverential and obedient] fear of the Lord,” (Isaiah 11:2). Let’s get busy. The end-time harvest is waiting for us at the curb! No Makeup, No Bling, No Cameras, No Kidding! Author Edie BayerPosted on February 5, 2018 February 5, 2018 Categories Evangelism, Favor, Obedience, Prophecy, VisionsTags 7 Spirits of God, WisdomLeave a comment on WISDOM HAS ARRIVED!